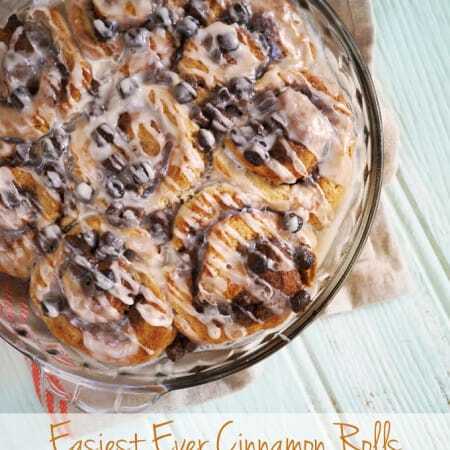 Quick Cinnamon Rolls. 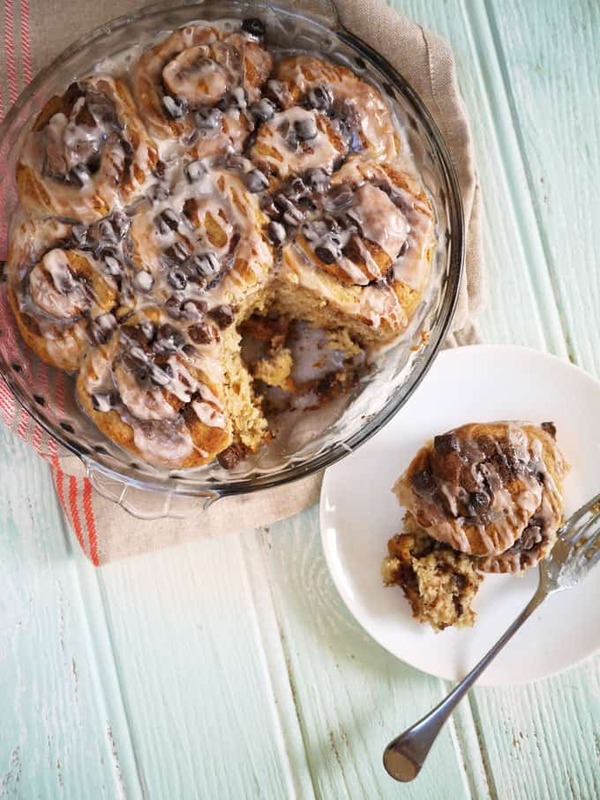 The easiest ever Cinnamon Buns. No kneading, no yeast, no waiting, no proving. Make them on the morning you want to eat them, ready for the best breakfast or brunch ever! Weekday mornings here are always a bit chaotic. Lost shoes to be found and packed lunches to make, I have to really remind myself to eat something (or drink a smoothie). So, at the weekend, I love to make up for it. An amazing breakfast or brunch on Saturday really makes me feel like the weekend has arrive. 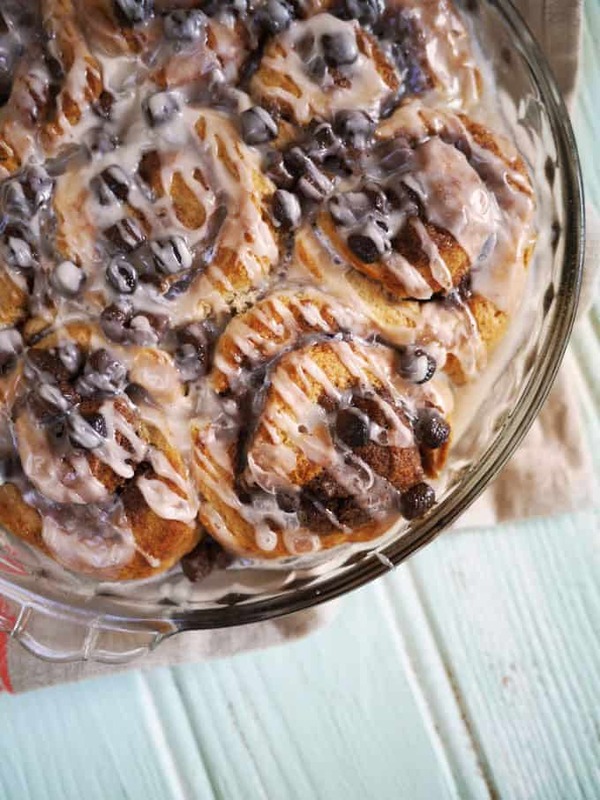 These super quick Cinnamon Rolls are the ultimate in breakfast indulgence. Now, I know I’m cutting back a bit at the moment, but Christmas (sorry, I said it already) is on the horizon and these would make the perfect festive brunch dish. No kneading and no waiting for yeast to do it’s stuff. 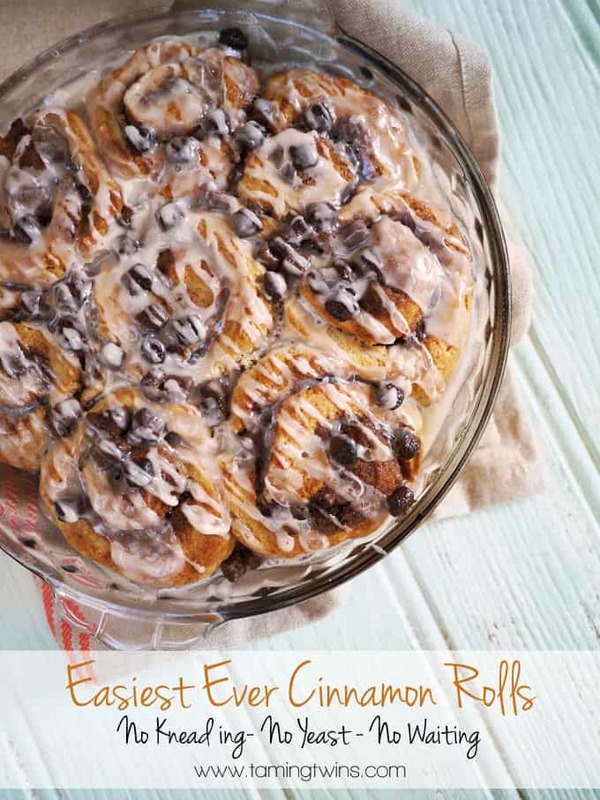 The smell of cinnamon wafting through the house in the morning? That my friends, is the stuff Christmas dreams are made of. If you’ve ever taste proper, real life cinnamon rolls (or cinnamon buns) in the USA, they are lighter that these. 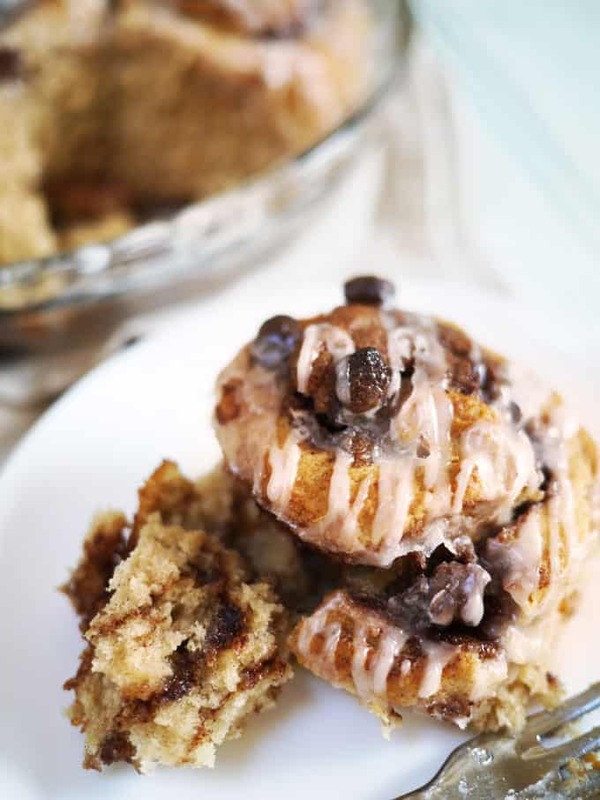 These quick Cinnamon Rolls are much more cake like, but I’m all about the shortcuts in the morning, so I’m willing to sacrifice some of that texture for speed. We added chocolate chips on top (as the children love them) you could also add cranberries or raisins. I don’t line the pan for these buns, I serve them straight from the dish. Yes you’ll spend two or three more minutes washing up, but those crunchy, slightly stuck to the pan bits at the bottom as the best bit as far as I’m concerned. Pre-heat the oven to 180C and butter a 20cm round dish. Mix the flour, brown sugar, salt and cinnamon together in a bowl. Mix the melted butter, milk and egg yolks and whisk until combined. Mix the liquid into the dry mixture until you form a very soft dough. Turn it out onto a sheet of greaseproof paper and gently squish it with your hands until it forms a rectangle of about 20cm x 30 cm. Mix the filling ingredients and spread over the dough. Roll up the dough and use a sharp knife to cut it into 8 even sized pin-wheels. Tuck them gently into your dish, standing up next to each other. Brush with a little milk and sprinkle the chocolate chips over. When they come out of the oven, make the icing by mixing the icing sugar with the vanilla extract and enough boiling water (a few drops at a time) to form a thick paste. By the time you've made the icing the buns will have cooled slightly. Drizzle the icing over and serve. What’s your favourite breakfast dish? Are you with me on the need for a festive breakfast or do you save yourself for the main (turkey) event? I love bread and butter pudding and this sounds like a good alternative – will try out.